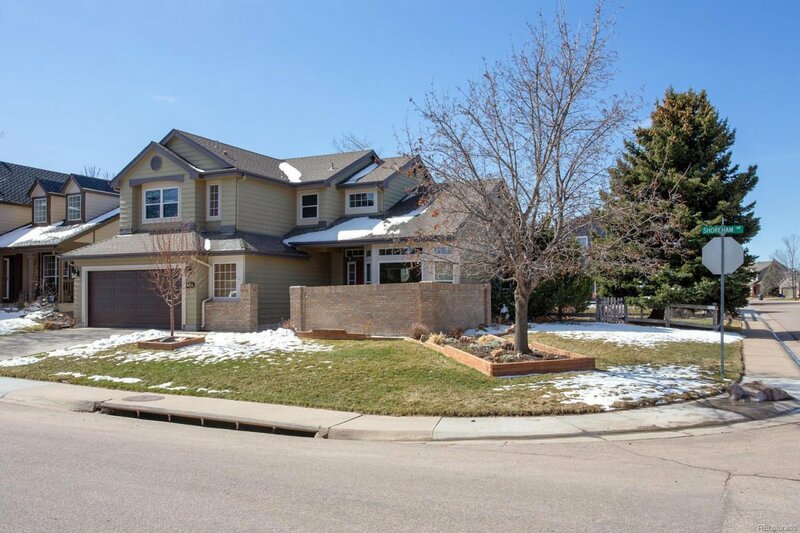 REMODELED AND UPDATED * * Great Corner Lot Home in Castle Pines North with Remodeled Kitchen and Baths * * Main Floor Master Bedroom with Private Updated Master Bath * * NEWER Softclose Kitchen Cabinets, Granite Counters, Sinks, and Backsplash * * NEWER Appliances Included!! * * Dining Room Hardwood Floors * * Vaulted Living Room Ceiling * * Upper Level with Loft, 2 Bedrooms and Full Bath * * Finished Basement with Bedroom, Bath with Jetted Soaking Tub, Storage Area and also Finished FLEX Space * * Oversized Two Car Garage with Workbench and Cabinet Included * * Private Front Patio * * Large Deck with Awning in Backyard * * Sump Pump * * Come Take a Look! !